COMING SOON!!!!! Wonderfully Made Preschool is excited to announce a couple of new programs here at GBCS….we are adding Wonderfully Made Daycare program that will add care for infants starting at 6 weeks to 24 months!!!! We are looking to open mid May. We will then be able to serve families from 6 weeks of age through 12th grade here at GBCS. Call us for more info! 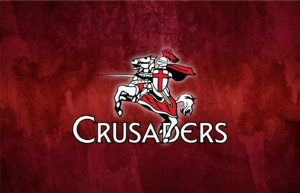 We are also excited to announce Crusader Camp beginning this summer!!!! It will be a 9 week day camp for those entering kindergarten through 12 years old!!! And…..we will be offering a preschool age summer program for 9 weeks to our 2 to 4 year olds!!! Exciting things are happening!!! Contact us for more information on any or all of these wonderful things happening here at GBCS!!! Previous GBCS will be on a 2 hour delay Tuesday, January 29th. Next GBCS will be on a 2 hour delay Tuesday, January 22, 2019.